From the architect. 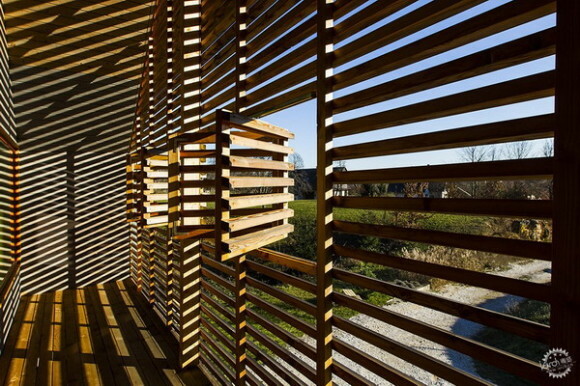 The simple house is a project for a small single-family home in the picturesque area of Kropa, Slovenia. 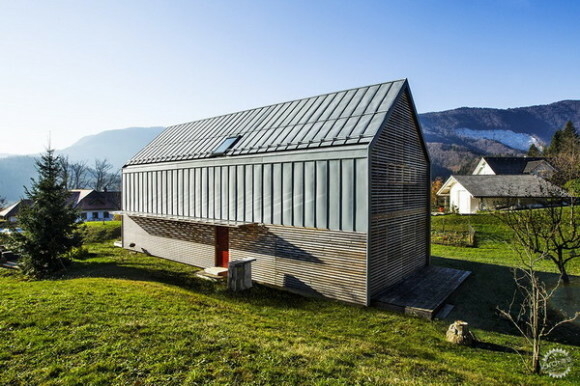 The basic shape of the house is archetypical – a clean volume with a pitched roof. The size and proportions of the house are related to the old farmhouses in the surroundings. This clean, abstracted traditional volume is wrapped in a contemporary envelope, which covers all the windows and loggias, creating an anonymous, windowless exterior. The envelope is abstracted through a pattern of lines – horizontal lines of wooden louvres on the southern and northern facade and the ground floor, and vertical lines of metal joins on the roof. The louvres on the northern and southern facade serve as a veil, and protect the family from people looking into the house, but at the same time allow views of the surrounding landscape. 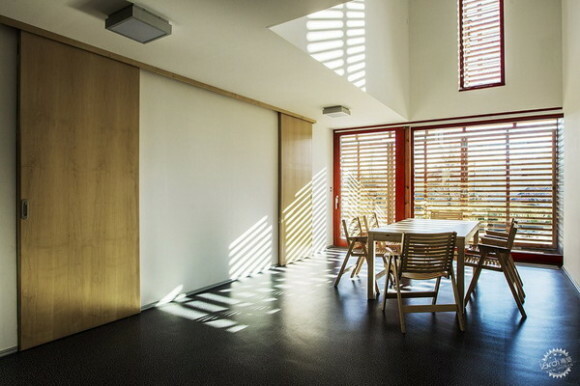 The louvres can be open or closed depending on the weather and the mood of the occupants. 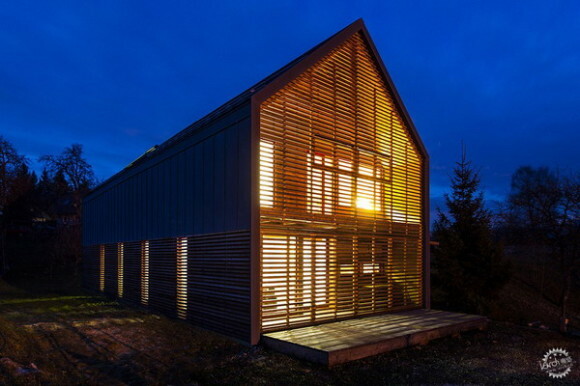 The house was constructed from ecological and economical materials which require very little maintenance. The house is constructed from prefabricated wooden frames, which were assembled on-site in a matter of days. 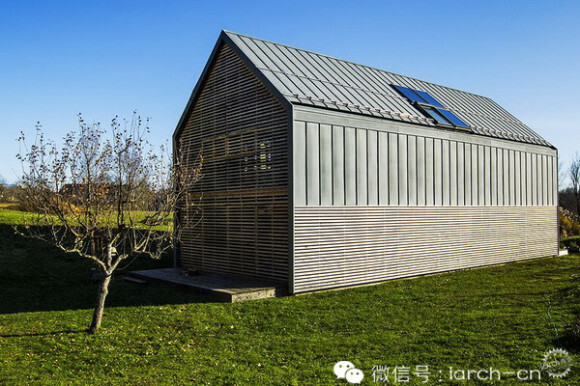 The roof and facade are made of zinc sheet ,metal and wood, which require very little maintenance.